Splendid. Carr presents a philosopher's case for the proposition that narrative is integral to human experience. Narrative, he argues, is not a post-hoc imposition of order on a formless stream of events and sensations; rather, human experience as such almost always takes a narrative form. We live out stories as they happen, not just as we recall events afterward. History, therefore, is not an artificial mode of academic investigation, but rather a mode that is true to the nature of human social experience. Carr bases his argument primarily on the work of several phenomenologist philosophers, but deep knowledge of their work probably isn't necessary in order to follow his reasoning.Carr begins by arguing that the most basic human sensations are intelligible to us because they take place in a temporal context. Humans do not experience sensations as isolated stimuli that happen to occur in sequence; the spatial and temporal relationships among stimuli (or "events") are integral to the sensations. At a concert, for example, we experience a musical composition, not a succession of notes; thus memory (as "retention," not as "recollection," in the terminology of Husserl) is crucial to experience in the present because it relates the individual notes to each other and to a whole. Furthermore, Carr argues, any purposeful human activity requires the "protention" of the future; an intended outcome is essential to our understanding of a process we initiate. To wind up to throw a ball, for instance, is to anticipate releasing the ball into the air, and the wind-up would have no meaning for us apart from the anticipated future. On a small scale, therefore, a human experience requires temporality to make sense.Carr then elaborates on the elements that make a succession of events into a true narrative. First, he writes, the temporal configuration of experiences is "narrative" not only by virtue of sequentiality but also because they are defined by beginnings, middles, and ends. The relationship among the elements of an experience is structural, not just sequential. Second, small-scale experiences themselves become parts of larger life experiences, which they define through their structural relationships with each other, not simply through happening in sequence. A life story does not need to be told in strict chronological order to make sense; what matters are the relationships among elements in the story, not their relationship to objective natural time. Third, the agent in an activity adopts the three essential vantage points of narrative -- becoming storyteller, audience, and a character in the story of the activity. At any moment during an activity, the agent tells himself a story about what he is doing. "What we are saying, then," Carr explains, "is that we are constantly striving, with more or less success, to occupy the story-teller's position with respect to our own actions. (...) When asked, what are you doing? we may be expected to come up with a story, complete with beginning, middle, and end, an accounting or recounting which is description and justification all at once" (61).Carr then moves from particular experiences to the role of the experiencer. Since narrative is the form in which activity becomes intelligible to us, it is also necessary to one's having a coherent self. For any individual, having a self means telling, acting, and observing a story in which past, present, and future hold together. In the absence of such a story, the individual loses a sense of agency and experiences angst -- a lack of coherence within himself and his various activities.But even if narrative is essential to individual experience and selfhood, does this mean that history is essential to human experience? Does the narrative nature of individual experience imply that social experience has a narrative structure? Husserl and Heidegger, according to Carr, suggest an answer. They argue that individual consciousness and dealings (respectively) require a social context. The individual inherits the cognitive context of prior generations and embarks on projects that others have already begun. The individual story, therefore, is most intelligible as part of a larger (social) story or structure of stories. Furthermore, Carr writes, the individual often experiences the world as a member of a group -- the self, in other words, is often a "we" rather than merely an "I. "Hegel, Carr explains, conceives a community -- a "we" -- as occurring when individuals join together in a common identity but still acknowledge each other's individuality, so that freedom is maintained. The maintenance of freedom ensures that members of this community see it as a subject, not just an object. What the community experiences or purposes, its members experience or purpose. The constitution of such a community, Carr says, is an action that seems to require a sense of common narrative, a sense of having a past and a future together.Conceived this way, a community exists whenever its members tell and believe stories about its existence, including stories about its origin, continuity, and potential to dissolve if not maintained. (The fragility of the community in time, in other words, imposes a narrative structure on the common experience of the members.) The community is an activity, not a fact of nature. 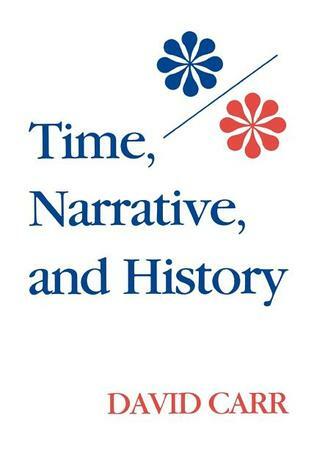 Historians, Carr writes, thus take part in a narrative that already exists even as they shape or rewrite it; they are not imposing an alien order on human experience but rather participating in the order that already constitutes their own social experience.The chief weakness of this book is the fact that it was undertaken as a project in philosophy rather than psychology. It lacks experimental evidence, or even much in the way of reference to the work of psychologists. This weakness exacerbates another, which is the author's exclusively Western perspective. (He acknowledges it, but implies that this doesn't matter as long as his audience is Western too. For the purposes of their communities, his account of the nature of human experience holds.) Despite these weaknesses, this is a stimulating and persuasive argument. Thought provoking. The author's clear writing style and rigorous approach to explaining his thinking really appeal to me The intent seems genuinely to be to convey new ideas as plainly as possible while judiciously explaining and giving credit for those ideas that paved the way. DavidCarr - [NB: There are several authors named David Carr. ]David Carr is a Professor Emeritus of Philosophy at Emory University. His works included books on 19th and 20th century European philosophy, the philosophy of Edmund Husserl, and the philosophy of history and historiography.